With 2.7 million tons, Neste is responsible for the majority of total renewable diesel production globally. Neste MY Renewable Diesel reduced climate emissions by 8.3 million tonnes of CO2 in 2017. This is equivalent to taking more than 3 million fossil-fuel cars off the roads or making a city the size of Stockholm car-free for 8 years. Neste is targeting to produce about 4 million tons of renewable fuels by 2022. In 2017 renewable fuels accounted for 21.4% of the total transportation fuel usage in Sweden, and consumption of renewable fuels is growing rapidly, by 19% in 2018 compared to 2015 and the most of this increase is due the use of HVO (Hydrotreated Vegetable Oil) such as Neste MY Renewable Diesel. “Sweden has incredibly ambitious climate targets, not least that the country should be fossil-free by 2045. We and other companies which produce renewable fuels need clear policies and predictable forecasts, if we are to secure new investment and increase production, which is required to significantly reduce emissions from the transport sector and achieve our climate goals”, says Carl Nyberg, Neste’s Vice President in Sales Scandinavia. Neste MY Renewable Diesel can be used in all diesel engines and existing fuel distribution systems. 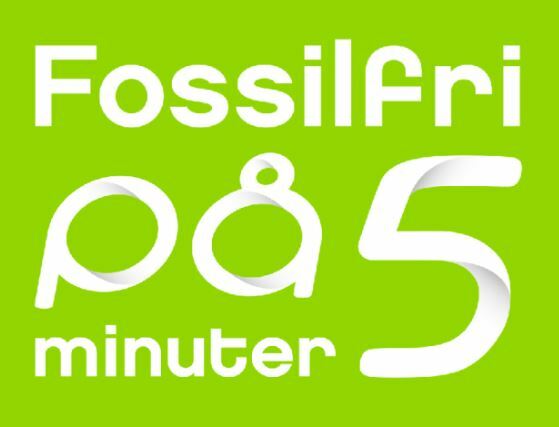 The fuel is being launched in Sweden under the motto "Five minutes to fossil-free". Neste MY Renewable Diesel is produced from 100% renewable raw materials. A large number of different waste fats are used in the production, including waste and residues from meat, fish and vegetable oil industry. Neste MY Renewable Diesel has the same chemical composition as fossil diesel and easily replaces conventional diesel or can be blended in any proportion.